Texas hold’em poker is one of those games that takes a day to learn but a lifetime to master. Let’s begin with the basic rules, and then we’ll move on to one of the many areas to think about if you want to improve your game and start to get to grips with this most complex but fascinating variant of poker. Each player is dealt two cards, referred to as “hole cards”, which only they get to see. Once everyone has their hole cards there will be a round of betting. The basic point to remember here is quite simple: if you’ve got good cards, stay in, and if you haven’t, get out! It’s not quite that simple of course (nothing ever is in poker! ), but certainly for beginners if you stick to this strategy you shouldn’t go far wrong. Once the first round of betting is over, the first three community cards are dealt, face up. These are referred to as “the flop”. The community cards can be used by all players, as the name suggests, to make the best hand of five cards, which can include both, one or none of your hole cards. After the flop there’s a second round of betting, then comes another community card, “the turn”, another round of betting followed by the final community card, also known as “the river”. Once all the cards are out, each player makes the best hand they can from their hole cards and the community cards, there’s one final round of betting and then the show down. Best hand wins. One of the fundamental areas to understand in order to give yourself the best chance of walking away from the table a winner, is your seat position. This is nothing to do with how close you might be to the toilets or whether you’ve got a good view of the TV. It’s all about where you are in relation to the dealer in any particular hand. 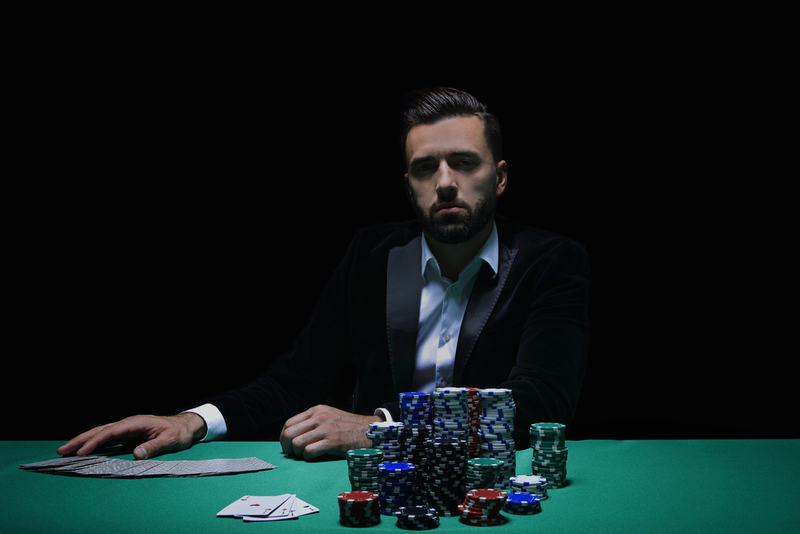 Not every seat is equal, and the cards you’ll want to play and how you’ll want to bet will need to be adjusted accordingly. Playing in early position means you will be acting before most of the other players in the hand in each round of betting. If you’re first to act once the cards have been dealt, the position known as being “under the gun”, you’re in the weakest position. Why? Because you have to bet, check or fold, without any knowledge of what the other players are going to do. And in poker, like life, knowledge is power! As a general rule, when playing in early position you should play tighter than you might otherwise do, in other words don’t play a hand unless your cards are very good. Of course there are always exceptions to this rule and you can, if you’re careful, make early position work in your favour. A big bet when you’re under the gun will often scare people off, exactly because you’d have to be strong to bet there. So once in a while, bet out with whatever rubbish you’ve got and you can probably pick up a big blind or two. The later you have to act in any hand, the stronger position you’ll be in. When you’re acting after the other players you have the huge advantage of knowing what kind of hands they all have. If there’s a lot of action before you, you’ll probably want to fold. If everyone checks to you, a bet will often take the hand down then and there, regardless of what cards you’ve got. And of course this advantage stays with you for each round of betting in the hand, allowing you to act with the maximum amount of information every time. So when you’re last to act, you can play a wider range of hands. It only comes round every so often though, so don’t waste it. Learning to play in position is just one of the myriad skills you’ll need to learn to become a great poker player, but it’s definitely a crucial one to master to get your poker game off to a good start.